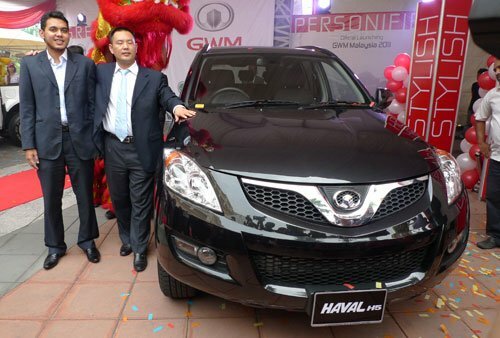 Great Wall Motor comes to Malaysia - Haval diesel SUV at RM120k, Wingle pick-up truck starts from RM59,888! Home » Cars » China » Great Wall » Great Wall Motor comes to Malaysia – Haval diesel SUV at RM120k, Wingle pick-up truck starts from RM59,888! Great Wall Motor comes to Malaysia – Haval diesel SUV at RM120k, Wingle pick-up truck starts from RM59,888! 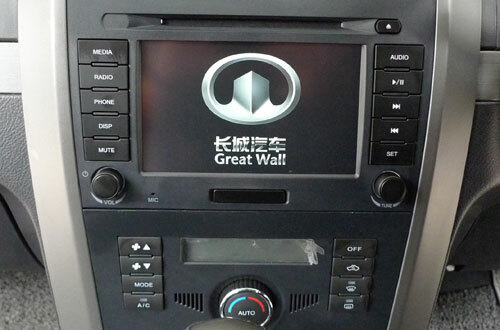 There’s a new auto brand in town, and it’s the Great Wall from China. Brought in by franchise holder Green Oranges Sdn Bhd, the brand, which is privately owned and named after China’s famous world wonder, will be introduced to Malaysians via two models – the Haval H5 SUV and the Wingle pick-up truck. The two are the brand’s most traveled models, and are sold in Europe and Australia, among other markets. What this means is that they would have passed the higher safety and emissions standards that these markets require. Let’s start with the Haval H5. 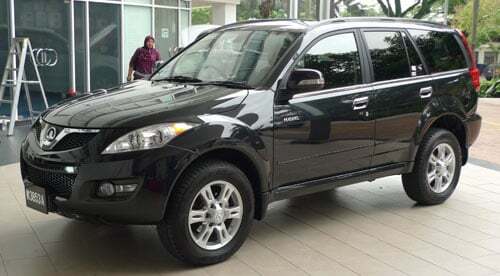 It’s a five-seater mid sized SUV that’s much larger than the other Chinese SUV in our market, the Chery Tiggo. With a length of 4,649 mm and wheelbase of 2,700 mm, the Haval is 84 mm longer than a Honda CR-V, and almost all that length advantage (80 mm) is in the wheelbase. And at 1,735 mm, the Haval also stands taller than the current crop of SUVs except for the similarly boxy Nissan X-Trail. But we reckon that the Haval’s main selling point isn’t size, but its diesel engine, as the only other SUVs offering oil burners are the Hyundai Santa Fe and Chevy Captiva, both priced much higher. 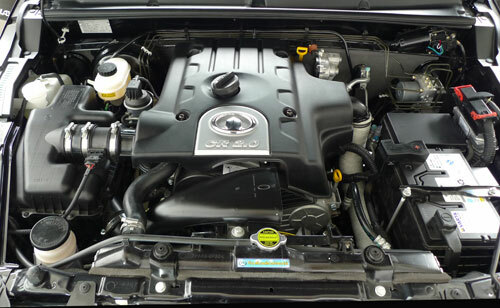 This 2.0 TCI engine is a modern common rail unit (CRDI system by Bosch) with Variable Geometry Turbo (VGT, by Borg Warner), and it produces 148 hp and 310 Nm of torque from 1,800 to 2,800 rpm. 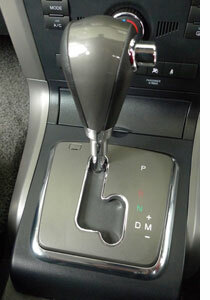 Mated to a 5-speed automatic with Shiftronic, fuel consumption is rated at 6.8L per 100 km. 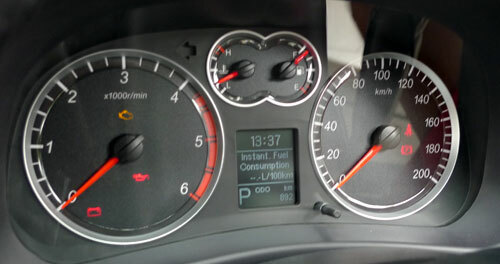 One unique feature not found elsewhere is a tyre pressure monitoring system (TPMS) that’s displayed at the rear view mirror. The other model is the Wingle double cab pick-up truck. This is the latest version of the Wingle, and it features a smart looking VW style nose in place of the cartoonish face that some might remember testing on our roads some time back. Its Isuzu roots are obvious from the dash, but the Wingle has steering audio controls and adjustable height headlamps, among other standard kit. 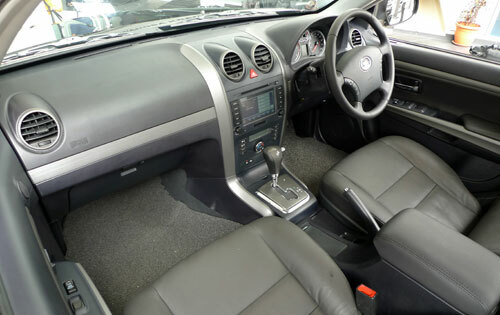 Dual airbags, ABS and EBD are also in the list, as are leather seats. The Wingle is powered by a 2.5-litre commonrail diesel engine with 107 hp and 300 Nm of torque, the latter produced from 1,800 to 2,400 rpm. The Mitsubishi derived turbo unit isn’t the VGT type, but the standard type. No auto option for the Wingle; the engine is exclusively paired to a five-speed manual ‘box. You can however, choose from 4X2 or 4X4 variants. Shift on the fly is available on the latter. 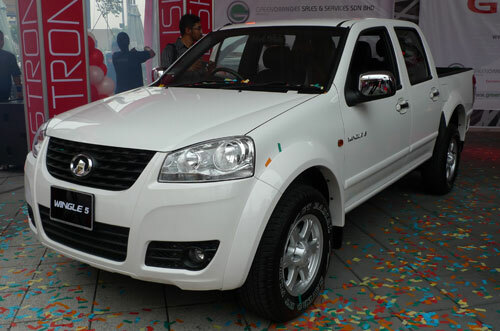 Both Great Wall models will be locally assembled at Green Oranges’ own plant in Gurun, Kedah, but the few early units are brought in from China, which is a common arrangement. Green Oranges CEO Mohd Azli SM Nasimuddin said that CKD production will start in mid August, and assured that parts will not be a problem – the company already has RM2 million worth of parts kept in Segambut, and all 12 dealerships nationwide are 3S centres. 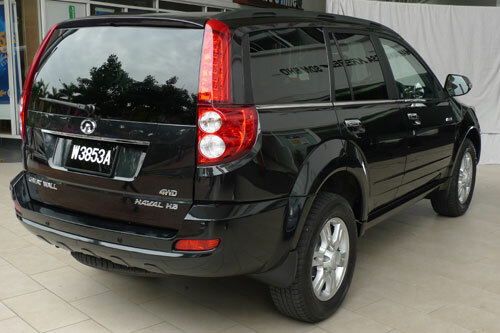 If all goes well, Malaysia will be the right-hand drive production hub for these two Great Wall models. Green Oranges is already stepping into the Cambodian market as we type, and today signed an MoU to collaborate with a Cambodian GLC. The Haval SUV is priced at RM120,000 OTR while the Wingle is priced at RM59,888 for the 4X2 and RM69,888 for the 4X4. The SUV comes with 5 years warranty (or 150k km), 5 years free maintenance and 5 years auto assist, while the Wingle comes with a 3-year warranty. If you want to check the cars out in the metal, head on to the new wing of Sunway Pyramid, where Green Oranges have set up an outdoor display area. We had a chance to test drive the Great Wall models two weeks ago. The route was from Taman Tun Dr Ismail (TTDI) to the Shah Alam Stadium. I started with the Haval SUV from TTDI to Shah Alam via NKVE and came away with some brief impressions, although a proper verdict would require a longer drive. Due to the lack of time, I didn’t sample the Wingle. Stepping into the Haval, I was pleasantly surprised with the number of features available, as well as the decent looks of elements such as the instrument panel and the touch screen colour LCD head unit. 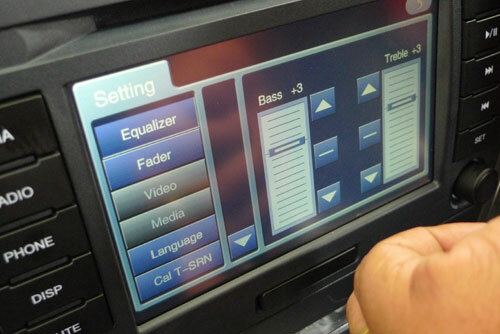 The user interface for the HU was quite slick looking and easy to use, and is far from the worst we’ve encountered. It doesn’t look that cheap either. 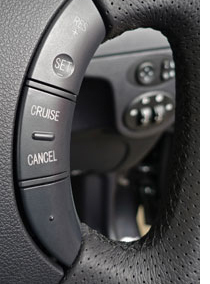 The inclusion of kit such as cruise control (with buttons on steering), electric adjustable seats (driver’s side) and leather seats are plus points, too. Admittedly, my expectations weren’t very high since the Haval is a China designed and made product (the units we tested were CBU), but first impressions were positive. As for materials and fit/finish, the Haval is not at the level of say, a Honda CR-V, although the general integrity of the cabin is good. The plastics are of the hard variety, which is expected for a budget SUV, but the tactile response from some parts could be better. 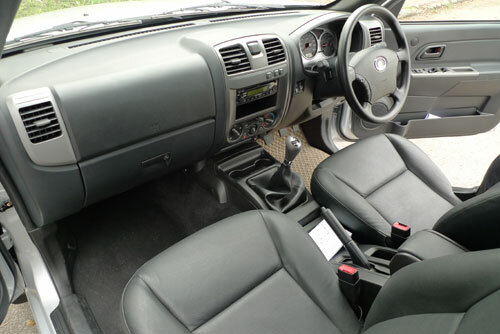 An example of this is the cubby in front of the gear lever that shuts with a slam. The centre console box also felt slightly flimsy in operation. Fit is generally fine – one area where the gaps were big was the dash top centre, but bear in mind that we were actively looking out for it. In general, touch and feel quality in the cabin is decent. I also did not notice any ergonomic or visibility issues. On the move, the Haval drives competently for a 4X4, although one shouldn’t expect a modern crossover driving experience ala CR-V or Tucson. It feels more like a traditional off roader with high ratio steering (very light) and brakes that require some effort from your foot (the latter is a positive for me, although a touch more boost would be good). The diesel engine feels contemporary, although the initial turbo lag is rather apparent. Get past that and engine pulls cleanly and the torque comes in handy. There isn’t much to report on the gearbox, which is a good thing. At highway speeds, I noticed that the Haval’s noise insulation is quite good and tyre noise was quite minimal. By then, the engine would have also settled to a hum, and the suspension isn’t overly soft, so long distance cruising could be a strength.